For most bankers working in the Square Mile, having a pining desire to do something different and more creative with their lives is a frequent feeling. To do something that gives them freedom, swapping faceless corporate life for working on something worthwhile, and becoming their own boss would be a dream come true. For many, their dreams stay just that, dreams. But for Kally Eddis, founder of McQueens she closed down Excel for the last time and fleed to Paris in pursuit of a better life. Kally was the youngest of four girls, all with a penchant for arts & crafts; her sisters going on to art colleges and living successful, creative lives. Being the rebellious of the bunch, Kally chose a very different career path, using her degree in languages to work for a French bank in the city. 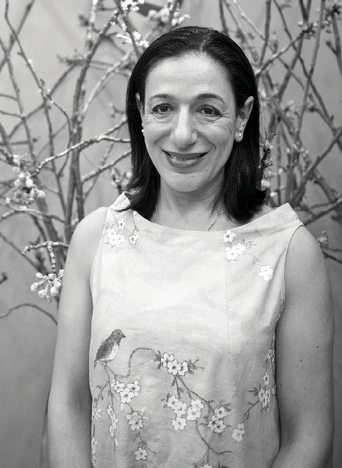 Coming from an artistic background, to banking 9 to 5 began to take it’s toll on Kally, she felt like something was severely lacking in her life, and in 1991, during the peak of the recession, her life changed for the worse. Kally had gone to buy a bouquet for a friend whilst staying in Paris, stumbling across a shop selling the most beautiful, hand-tied tulips and roses she’d ever seen. Nothing like the boring flat-backed arrangements you’d see in 90s London. She toyed with ideas of bringing these simple but stunning arangements back to London, and hadn’t felt this passionate about something in a long time. She later took voluntary redundancy at the French bank she worked for to make her dreams become reality, buying up a small flower shop in Shoreditch on the brink of closing down, called McQueens. Her colleagues thought she was crazy to start a business during the recession, but her instincts outweighed all financial worries. She worked eighteen hour shifts tirelessly in the shop, to make sure it was a success, the whole time reminding herself how much happier she was here than behind a computer screen, number crunching. Thankfully the gamble paid off and the unexpected opportunity made a huge impression on the industry. 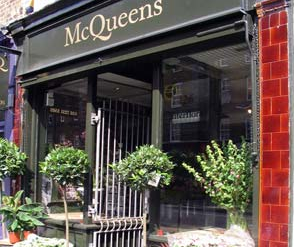 Since then, 20 years on, McQueens now do events for Vanity Fair, The Oscars and The Cannes Film Festival with over 35 staff, as well as a newly launched flower school. 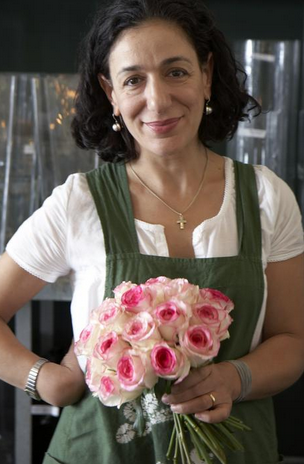 What a lovely story – and the floral business isn’t an easy one to be in. Inspirational. It’s an inspiring one indeed, thanks Michelle. I noticed you signed up to our meetup page – hope to see you at one of our get togethers soon!